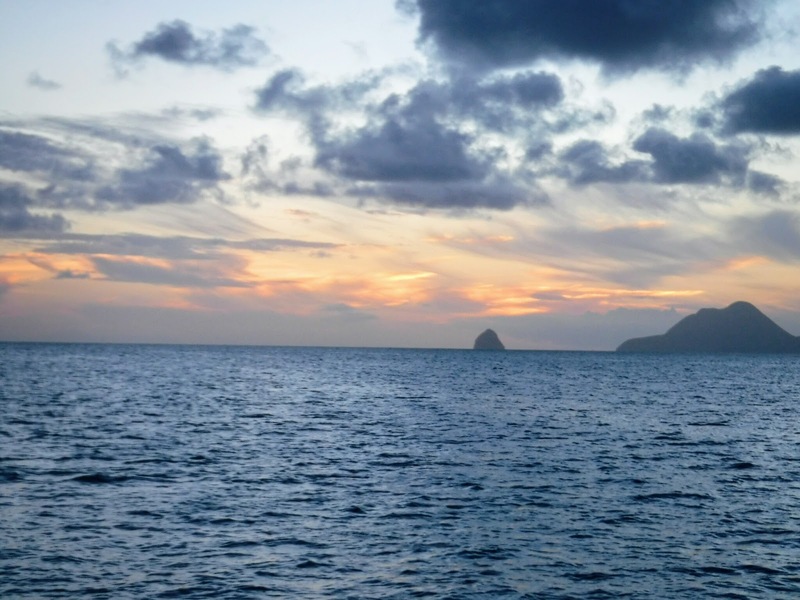 Rhapsody on the Blue: Marinas - Bah! 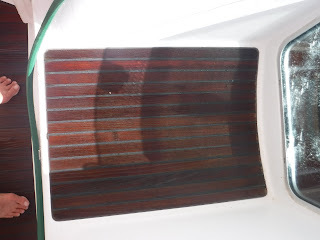 I understand the need for going to a Marina, and I am usually very happy to get the things accomplished while we are at a Marina, but I do not like staying in a Marina. It amazes me that people stay at marinas for weeks, months or even permanently. I know that there are reasons to do so, I just am not happy when we have to. Marinas are noisy, and crowded, I can't swim in the waters, there is no breeze to keep the temperature down, and we get to pay for the privilege. Sunset view in the anchorage. Which would you choose? That being said, there are certainly advantages to being in a Marina. I can step off the boat and go for a walk, I can walk to stores and restaurants and laundry facilities, and generally the driving force for going to a Marina is to get work done. 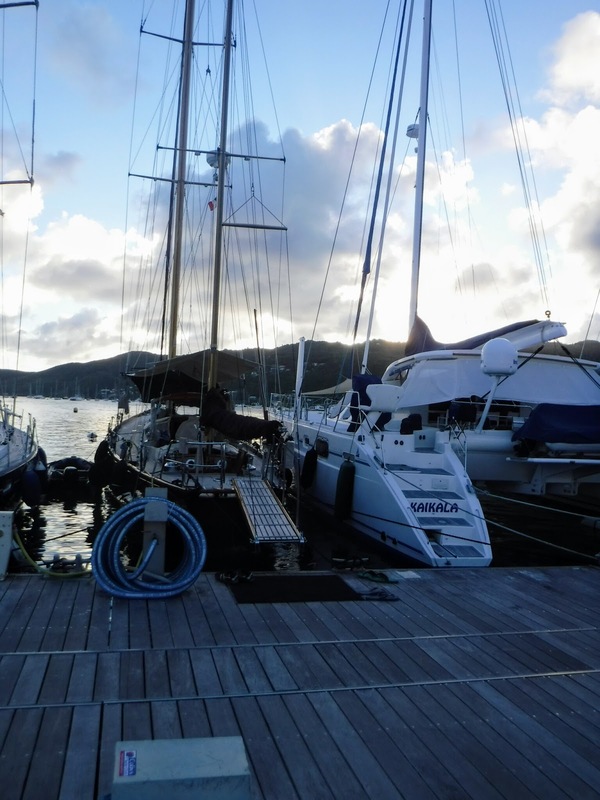 Our latest Marina is in Le Marin, Martinique. The new experience for us was the way the boats are docked. The method that they use is called "Med mooring " after the way they do it in the Mediterranean. The boats are backed into the docks and then a line is led to a mooring ball in front of the boat. 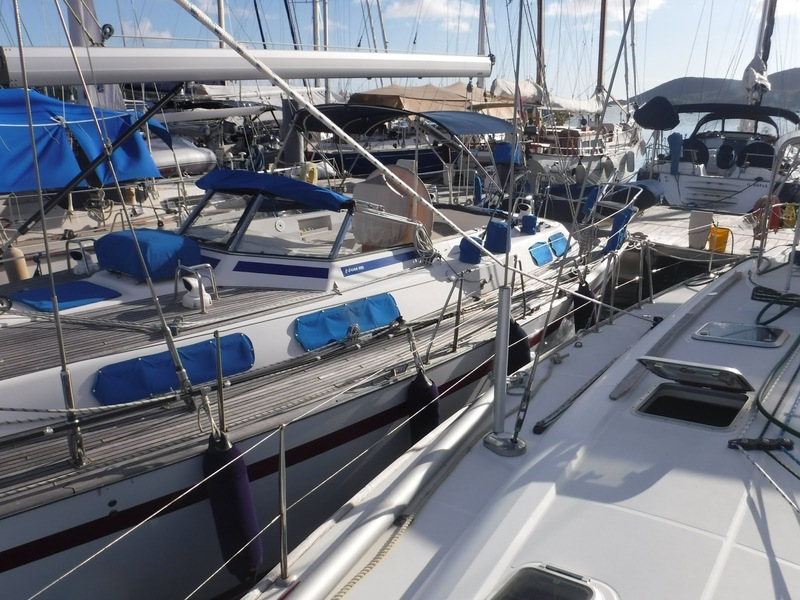 This allows many more boats to be crammed into the spaces. The line leading out to our mooring ball. Not much space between the boats. We were successful in getting things done. 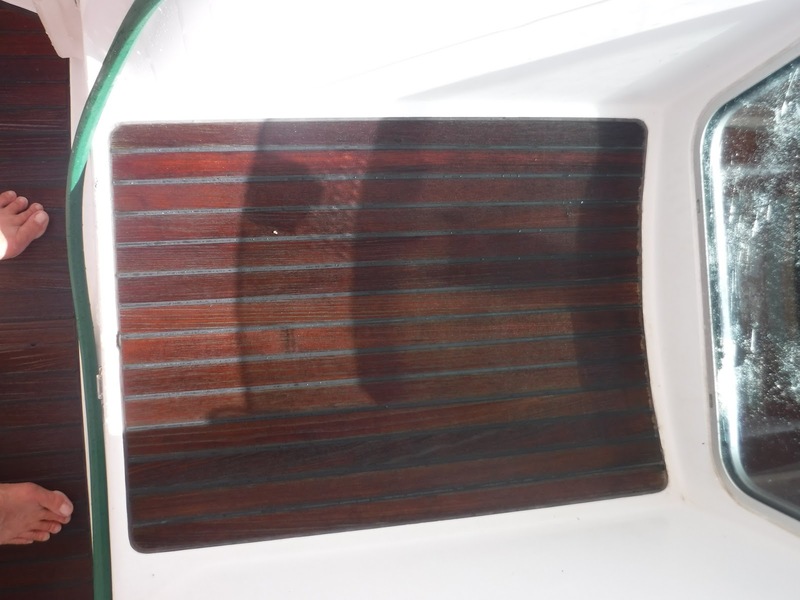 Above is our dirty teak and the clean teak on the right. 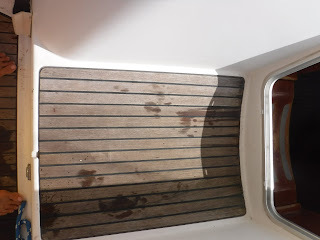 It is a little deceiving because the clean teak is still wet, but even when dry it looks much better. We were happy to get our tasks completed, and even happier to move back out of the Marina. 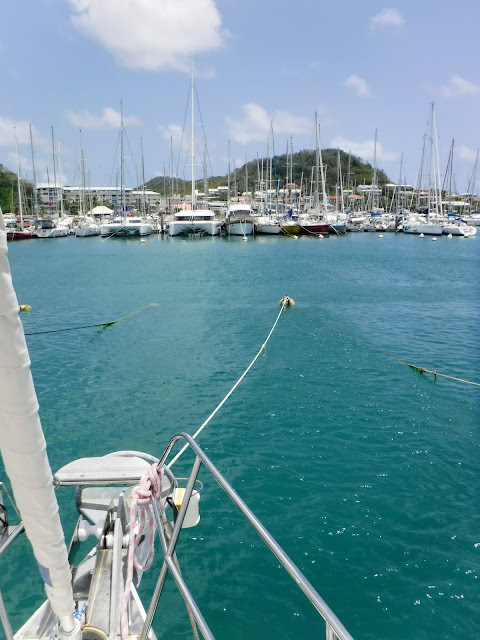 The last time we were in a Marina was 5 months ago in the BVI. Hopefully we can wait just as long, or longer before our next marina visit.